The death penalty in Florida may be on its last leg. Recently, the Florida Supreme Court nixed the state’s practice of having a judge – rather than a jury – decide a person’s fate in a death penalty case. Then there was the judge in Miami who struck down Florida’s death penalty law as unconstitutional because the state allows a majority – rather than a unanimous – jury decision to determine whether someone should die for their crimes. Now, there is yet another hurdle for the state: The only three federally-approved sources that provide the lethal mix of injectable drugs used in Florida executions have withdrawn their use for this purpose. Pfizer, a huge pharmaceutical manufacturer, has stated it wants its medications to be associated with saving lives, rather than ending them. It argues there is no legitimate medical purpose to execute someone. So the seven drugs it produces that are used in Florida death penalty cases are going to be banned from use in capital punishment. Already, nearly two dozen other American and European drug makers have initiated similar bans, according to The Sun Sentinel. Whether this will have an effect on the nearly 400 current death row inmates – or those who are awaiting sentencing – is unknown because state officials have refused to reveal who its drug suppliers are, how much of its execution drug supply it has available or when those drugs will expire. When the supply it has is gone, the state will be at a crossroads. There may be other suppliers from whom the state could obtain the necessary drugs, but then it may end up running afoul of the law. It’s not clear whether this – along with the other recent constitutional challenges to the death penalty in the state – will have an impact on whether prosecutors choose to seek the death penalty. If it were taken off the table in pending cases, with the most a defendant could receive being life in prison, it could result in lesser sentences across the board. Without the possibility of the death penalty, our Fort Lauderdale homicide defense lawyers know prosecutors will have less leverage in the course of negotiating plea deals and during the sentencing phase of trials. Turn to smaller, less regulated pharmacies. And there are other options too. 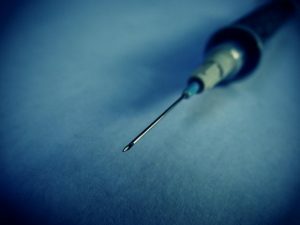 The state could simply opt for a single injectable drug, rather than the three-drug cocktail (which is intended to reduce pain before death). Alternatively, it could simply choose to instead use the electric chair. Other states are dealing with this same issue. In Ohio, for example, state officials have shelved all death penalty cases because they can’t get their hands on the drugs. Utah, confronting the same problem, went back to the firing squad. In criminal cases where defendants are facing the possibility of the death penalty, life in prison or decades behind bars, it is imperative to seek the services of a criminal defense attorney with extensive experience, ample resources and proven skill.